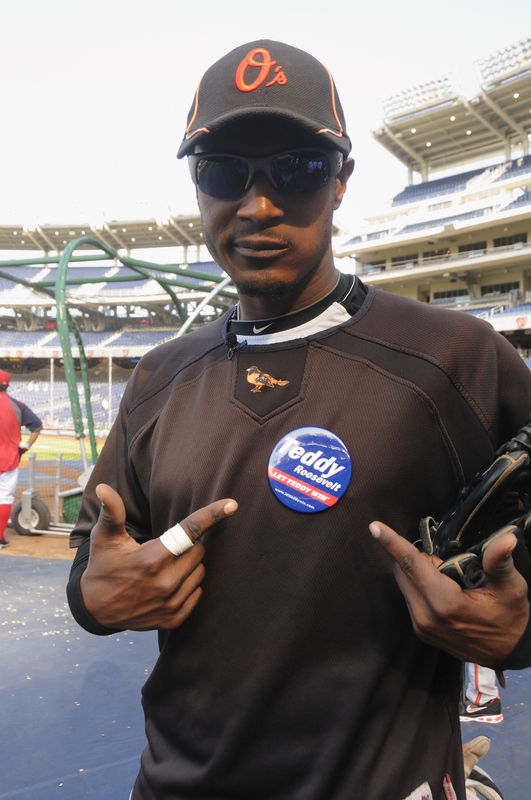 Baltimore Orioles | Let Teddy Win! 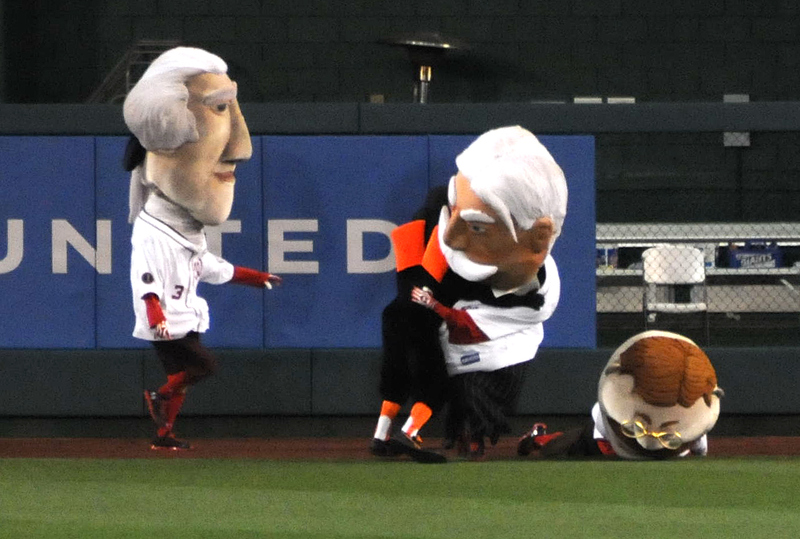 The creatively named mascot has been known for disrupting the presidents race in the past, but Tuesday marked the first time the Oriole had ever faced five presidents at once. 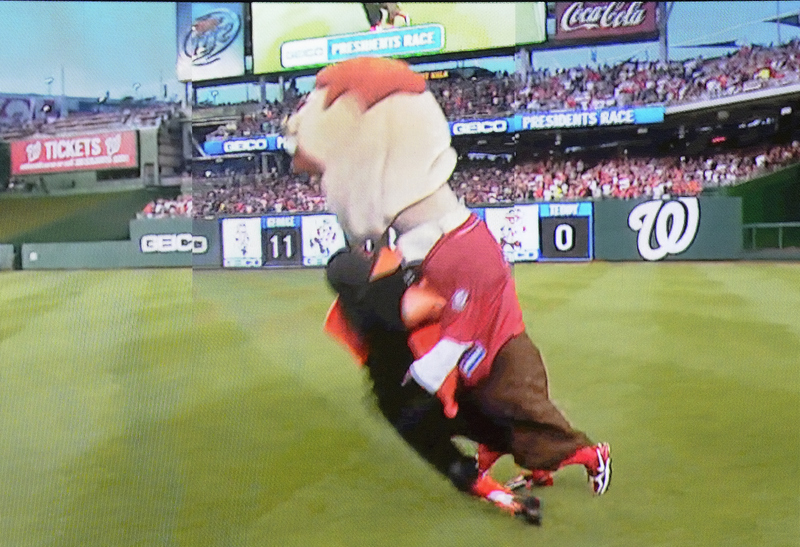 As the fourth inning race began, The Bird charged at the racing presidents along the outfield warning track. The Bird made quick work of front-runners George Washington, Abe Lincoln, and Teddy Roosevelt, but charging behind was big Bill Taft, who proved to be more of a load than anticipated. As the Oriole struggled to pull down the portly Chief Justice, Thomas Jefferson slipped by and raced ahead unobstructed for the victory. 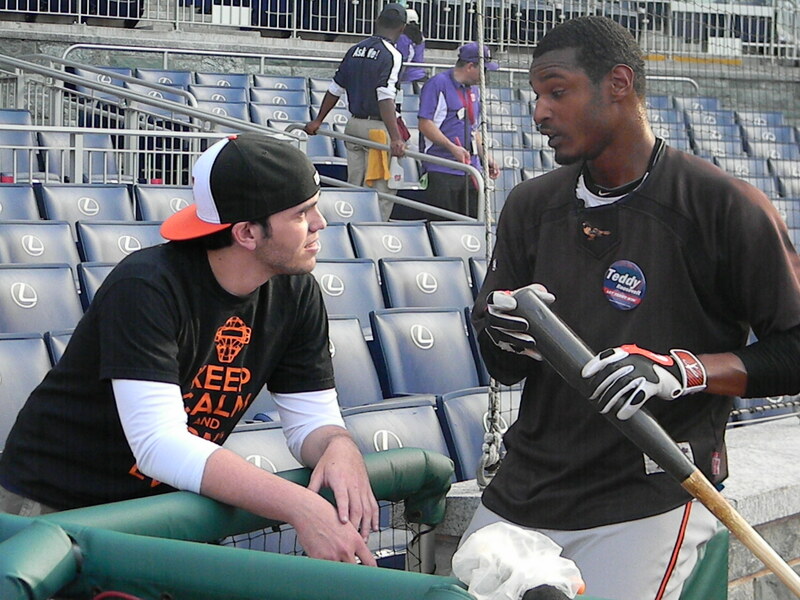 Baltimore Orioles star center fielder was warming up before Saturday’s game at Nationals Park, waiting for the Nationals to finish batting practice, and chatting with teammates about the Nationals’ racing presidents. Jones, as it turns out, is a Teddy Roosevelt fan. 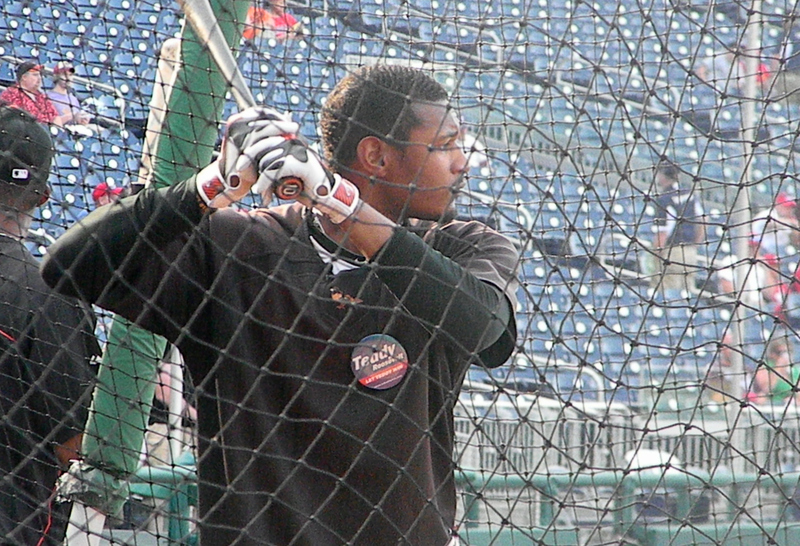 He doesn’t miss the presidents race when the Orioles play the Nationals, knows about Jayson Werth’s attempts to help Teddy Roosevelt last season, and has a problem with the injustice served out nightly to the great president and war hero. “They need to let him win,” Jones told me. 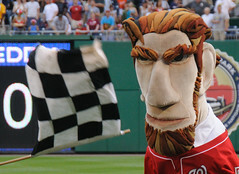 For Jones, the presidents race is a realization of a childhood misunderstanding. With the Baltimore Orioles in town, Teddy Roosevelt was looking for The Bird to show up, and finally got his wish Saturday night. Teddy and the “creatively”-named Orioles mascot have a contentious history, but The Bird appeared ready to make peace as the fourth-inning presidents race began. 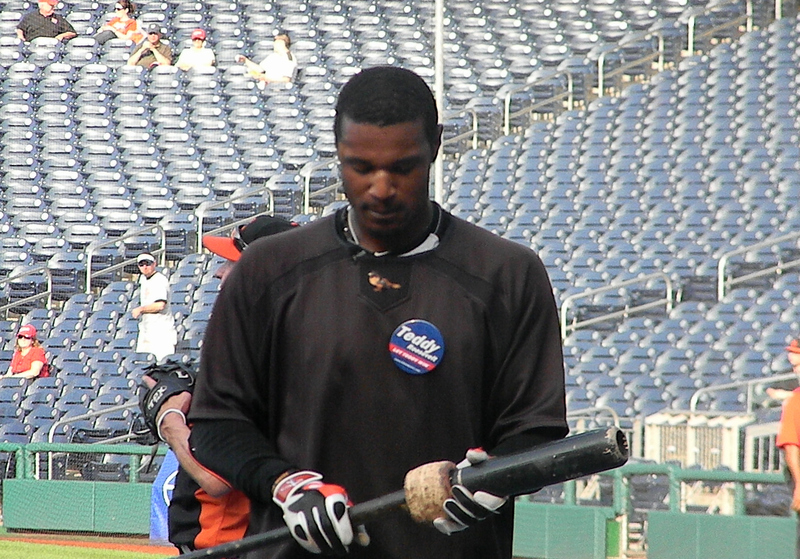 With Teddy rounding the outfield corner carrying a big lead, The Bird appeared on the first base line holding a “Go Teddy” sign. But Teddy would have none of it. With a sellout crowd of 42,331 cheering Teddy on, the site of an unprotected Bird was just too much for the Hero of San Juan Hill to resist. He veered off course and put a highlight reel tackle on the mascot. The Battle of the Beltways continues Sunday at Nationals Park. 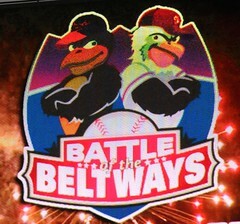 The Orioles Bird did not make an appearance as expected during the presidents race for Friday night’s kickoff of the annual Battle of the Beltways. 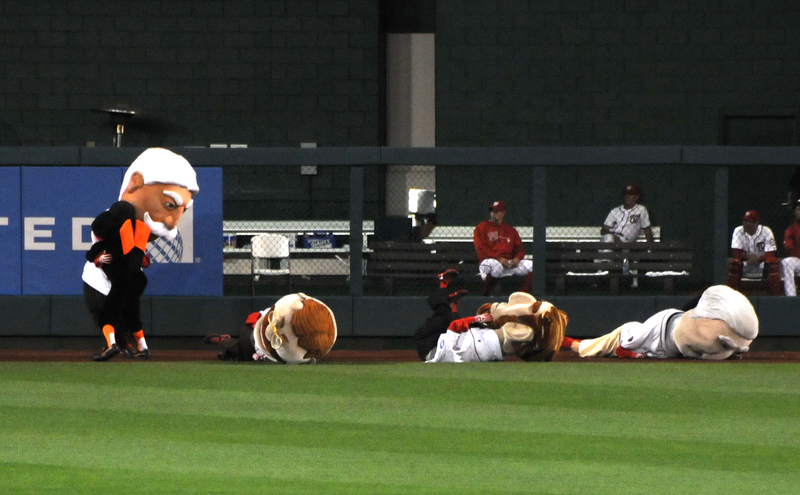 In the fourth inning, the racing presidents mixed things up, running toward the third base side, but the Bird’s absence was no help for Teddy. 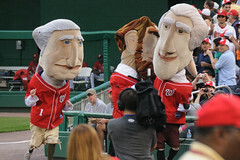 George Washington easily passed a tired Roosevelt before doing jumping jacks at the finish line.